​Scoil Nioclais has entered the award every year since 2005 but this is the first time we have developed a Digital log book! We hope you enjoy it and we will update it as much as we can. This will give you a flavour of the Science and related STEM subjects on going in Scoil Nioclais during the year! Some of these activities have been photographed and appear here on our newly established page. ​We cover a variety of hands-on experiments based on the four strands of the curriculum. For example, Mr Owen’s class were studying the life cycle of the chick live in the classroom from incubating eggs to hatched chicks and in back home to the farm. Ms Beechinor’s Fifth class were working on studying ears. ​Junior Infants have been studying the life cycle of the frog. ​Ms Kelleher’s class made a study of the skeleton and bones. Ms O’Brien’s third class and Ms Beechinor’s fifth were exploring magnets. ​They also were exploring States of Matter whether something is a gas, liquid or a solid! Scoil Nioclais pupils get the opportunity to go on Science trips. 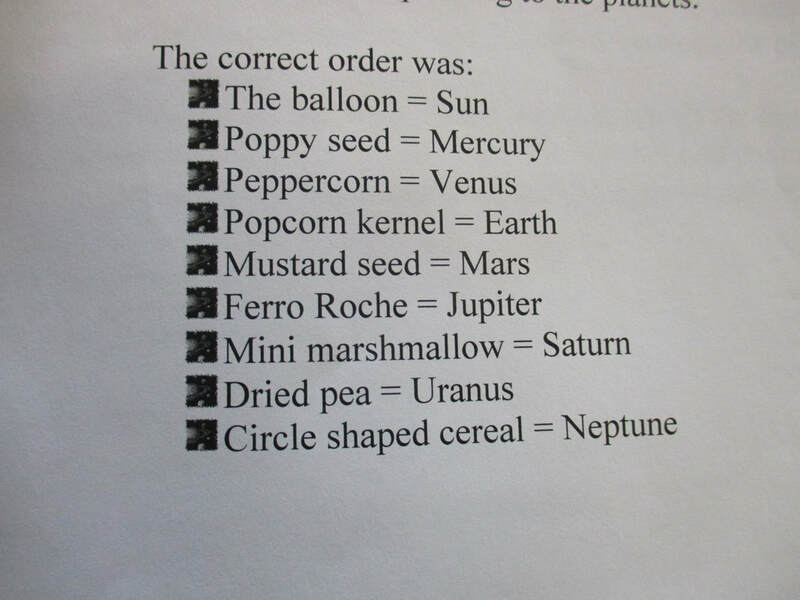 All four Third classes go to the Blackrock Observatory where Frances McCarthy wows them with Space and they make comets. 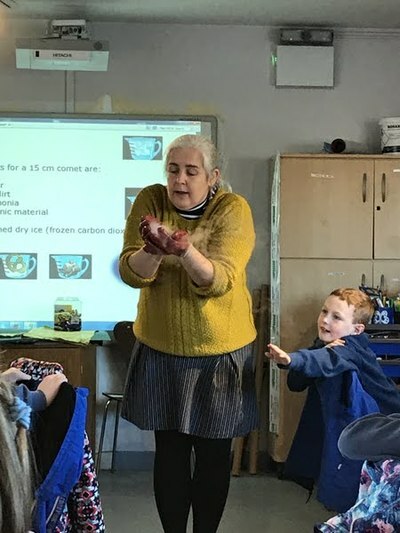 Fourth classes have just had the opportunity to visit the Lifetime Lab in the Old Waterworks of Cork and explored the topic of Electrical energy with Una Leader. UCC’s Microbe Magic will come later this term for a talk on the Alimentary canal with sixth classes. Every year we have Water Safety instructors and /or Beach lifeguards visiting our school to give talks on water safety in line with PAWS (Primary Aquatics Water Safety) developed by Irish Water Safety. Ms Bradley’s, Ms Roche’s, Mr Walsh’s fourth classes using electrical energy in the Lifetime Lab and using circuits to make robots as well as working switches and making a Buzz off game. Ms Beechinor’s Fifth class were working on sound and made some sound guitars. The biggest resource we have for the Environmental awareness and care strand is the school grounds and in particular the school garden. Although we have had a lot of construction work on the school grounds in the past few years we have established a garden we intend developing it every year with a new aspect. Our school plan includes infants planting bulbs, senior classes planting vegetables, flowers and the sensory garden. Ms Bradley’s fourth class are caretakers for the garden but many classes plant there. We have continued to plant trees for Tree Week (Oct) and Tree day (in March). The snow and storm days have slowed us down this year but you can enjoy our 2017 garden in the photos. Space week was a great success this year! Mr Walsh’s class explored many aspects of Space including rockets, meteorites and space exploration. Ms Bradley’s class were busy exploring the planet Mars and Martians. ​2. Sixth class demonstrated the Engineering projects for classes showing their pin ball machines, slime, flower pots and helping them try the marshmallow challenge. ​1. Third classes run our annual Discover Primary Science exhibition where they exhibit and explain their Science experiments to parents and pupils from second and First classes. The photos show Ms O’Sullivan’s class and Mr Owens’ class demonstrating and explaining what they’ve been exploring. ​1. We are proud of our Excellence in IT award from IT@cork Leaders award 2017. We have been recognised for our hard work building up our technology in the school. Our enthusiastic staff and parent body have been essential in the variety of IT based projects including the coderdojo club, Vex robotics, our computer room as well as our pupil laptops. ​2. Our pupils get opportunities to present their work using IT. Here Ms O’Brien’s third class have made a powerpoint of Magnets. ​2. Mrs Finn’s sixth class tried out the Engineering week Science pack and came up with their own versions of pin ball machines, slime and flower pots! ​1. Fourth classes were busy looking at and designing their own bridges. Here is a photostory from Mr Walsh’s class. Showing the levels of sugar in drinks and snacks. Third class pupils use their maths skills such as calculating the sugar weight, using weighing scales to measure the amounts in each of the products, recording and analysing the data. The links between the Green schools committee and Science are close and pupils have studied, tallied and recorded data collected on modes of transport to school. They have represented how many pupils came to school walking, by car or by bicycle in a bar chart and compared and discussed the results.